Nokia stands preeminent when it comes to re-inventing business. Indeed, Nokia itself, is a brand that’s repeatedly leveraged the next big technological and social transformation. The company has morphed from a much-loved handset business into a leading LTE and 5G, mobile infrastructure group. Each time Nokia’s focused on leadership through innovation. And they're now going through the next major transformation from a network infrastructure business to a software defined solutions and platform business, for the IoT era. With the acquisition of Alcatel-Lucent, and pioneering Bell Labs, Nokia’s now the second largest player in technologies and applications driving IoT and opportunities in our hyper-connected world. The new mantra is innovation geared around unleashing human potential and creating a better world, for all. This pivotal position in the digital era, has required that Nokia re-evaluate how they engage customers and strategic partners. Bottom line: the business opportunities in the connected world herald a new way of working. At its heart are complex ecosystems involving diverse stakeholders. Products are no longer assets. They’re platforms or connected service models. This requires a collaborative form of innovation and building B2B communities. It requires an agility and openness to new business relationships, like revenue focused, marketers and customer experience executives. With this in mind, our work for Nokia’s systems business covers event guidelines for global innovation forums and road shows. These touch points also extend to immersive, interactive experiences at trade-shows promoting 5G and advanced software solutions; like the MultiTaction smart-table shown here. 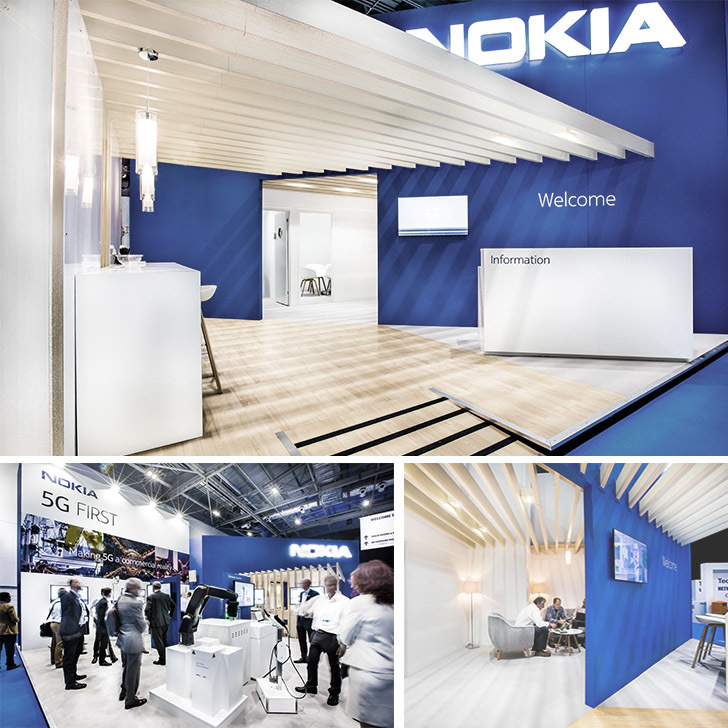 We’ve worked with Nokia to reinforce a brand narrative that emphasises ‘innovation’ and the human possibilities and life-enriching benefits of technology in the connected world.